The NHS provides most health services to people free of charge, but there are some exceptions. Prescription charges have existed since 1951. Sometimes a charge is made because the service is not covered by the NHS; for example Medical Reports for Insurance Companies. Please click here for a list of non NHS services which are provided at this practice and are frequently charged for. If the service you require is not listed, please contact our reception staff and ask if we provide the service and the price. We will make every effort to action your request as soon as possible, however NHS core services take priority. Please give us at least 10 working days notice where possible. What is covered by the NHS and what is not? The governments contract with GPs covers medical services to NHS patients. Sometimes the only reason that a GP is asked to provide information is because they hold a position of trust in the community, or because an insurance company wants to be sure that the information provided to them is true and correct. Why does it take so long for my GP to complete a form or report? Time spent completing forms and preparing reports takes the GP away from the care of our NHS patients. Our GP’s have a heavy workload – paperwork takes up an increasing amount of time. I only need a doctors signature – what’s the problem? When a doctor signs a certificate of report, it is a condition of the Medical Register that they only sign what they know to be true. 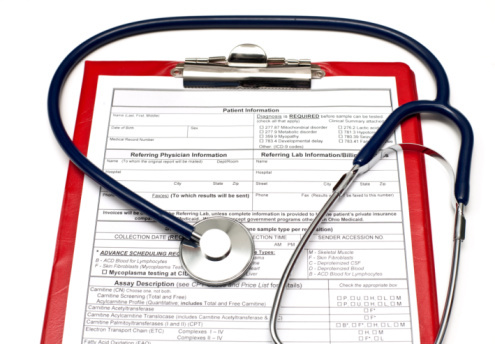 In order to complete even the simplest of forms, the doctor might have to read a patients entire medical record. Please do not hesitate to contact the surgery if you have any further queries you would like answering.